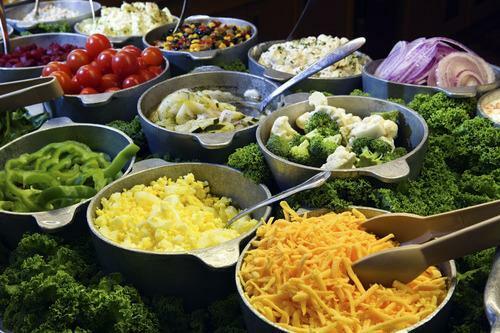 Though many people love the experience of fine dining in the so-called dress-up dining room, the 24-hour buffet is a great quick, casual option — if you know how to navigate it. When it comes to cruise buffets, there’s a right way and a wrong way to do them. Here are some of my best buffet tips, culled from decades of cruising. 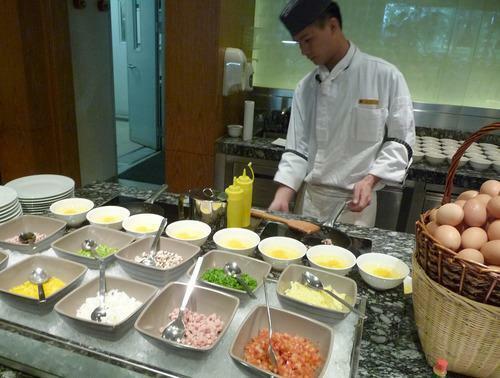 Get your scrambled eggs from the omelet station. Don’t let them overly season your stir-fry with soy sauce. Beware of onions on the salad bar. 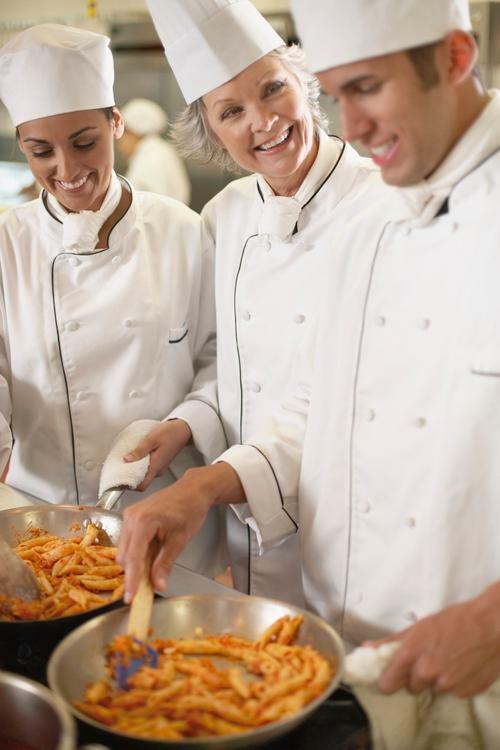 Don’t be afraid to speak up at the pasta station. Important fact: They have the same dinner entrées on the Lido-deck buffet as they do in the dress-up dining room. Same food, supereasy. If you’re not into the chafing-dish options, you can also have a steak cooked to order. But beware: The quality of the meat used at the buffet is not as good as the meat used for the main dining room. Other important dinner tips? If you’re a fan of fish, stick to whatever fish they’re cooking to order. And who doesn’t love an all-you-can-eat pasta dinner? You at the cruise buffet if you order correctly. Though the pasta dish is put together in front of you, the pasta itself is precooked. When you order your noodles, the cook will put them in a strainer and submerge them in hot water to warm them while finishing the sauces. 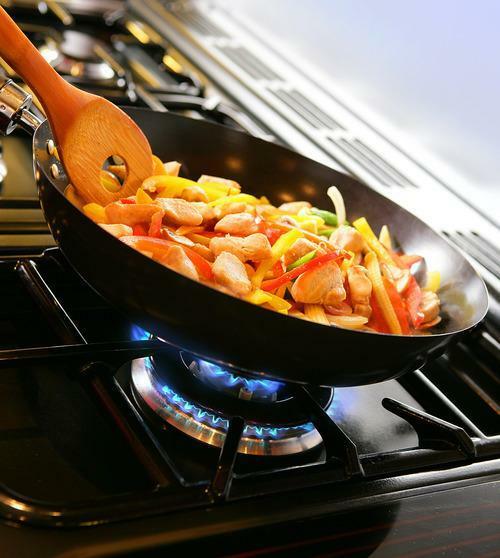 The problem is the straining of the noodles: The cook will lift them out, give them a shake, and throw them in the pan with the sauce — and you will end up with a watery mess. If you’re willing to speak up and ask for a better strain or for the sauce to be thickened, then pasta is a good option. If you do choose pasta, do it the day after the sit-down dining room serves meat — they take the leftover high-quality meat and throw it into sauces. And ask the cook to add some marinated veggies from the pizza station rather than the raw ones they use, since they never seem to cook properly. Go wild at the dessert bar. Just avoid the cake. 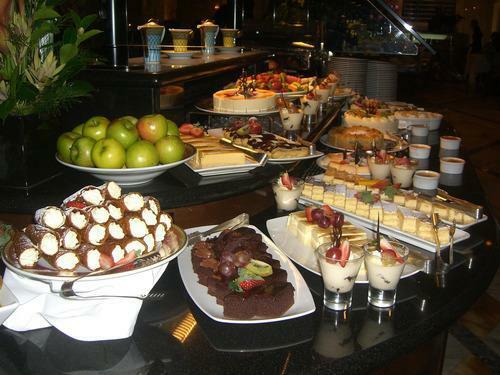 Sweets are one of the best parts of the buffet (just make sure the plates holding the desserts are on ice). Puff pastries, petits fours, crème brûlée, and the like all hold up better than cake, which dries out quickly. So pile on the goodies — don’t forget the whipped cream! — and you can even take your dessert to your cabin if you like. Carnival Cruise Lines has resumed charging a single price for its all-inclusive beverage package, after experimenting with a variable price system. Starting Oct. 25, the price for the “Cheers!” package became $49.95 per person, per day, for cruises of all lengths. In August, Carnival began testing a system in which Cheers! 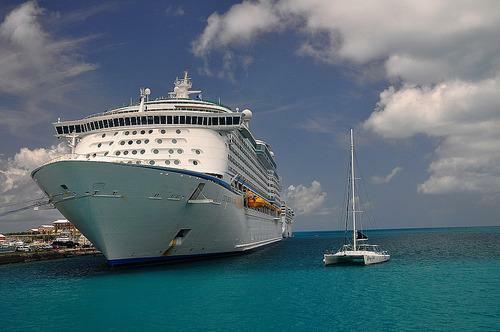 cost more on short cruises. Earlier this year, Carnival expanded the package to three-day cruises, for which it hadn’t previously been available. Under that concept, Cheers! cost $55 per person, per day on a three-day cruise, $45 on a four-day cruise, $42.50 on a five- or six-day cruise and $37.50 on a seven or eight-day cruises. The package provides flat-rate daily pricing for alcoholic drinks, nonalcoholic frozen drinks, wine by the glass and soda. Drinks $10 or less are covered and there is a limit of 15 alcoholic drinks per day. American Cruise Lines’ new Mississippi paddlewheeler has been named the American Eagle and will sail its first revenue cruise on March 28. After announcing last December that it would introduce four new U.S. riverboats between 2015 and 2017, ACL has finally provided details about the first of those vessels, the 149-passenger American Eagle. The paddlewheeler is being built at the Chesapeake Shipbuilding yard in Salisbury, Md. It will feature 19 single staterooms and 65 double cabins, ranging from between 300 and 600 square feet. With the exception of six lower-deck cabins, staterooms will have floor-to-ceiling sliding glass doors with private balconies. The public areas will include the Magnolia Lounge, the Sky Lounge, the Paddlewheel Lounge, the Grand Dining Room and the Mark Twain Library and Chart Room. An outdoor exercise area and putting green will be located on the sun deck. Elevators will be available with access to all decks. There will be guest laundry service, complimentary wireless Internet and complimentary breakfast room service. The American Eagle will sail mostly seven-day cruises along the Mississippi River. It will join ACL’s existing Mississippi paddlewheeler, the 150-passenger Queen of the Mississippi. ACL has said that a Columbia and Snake river paddlewheeler will be launched later in 2015, but no details on that riverboat have been provided.